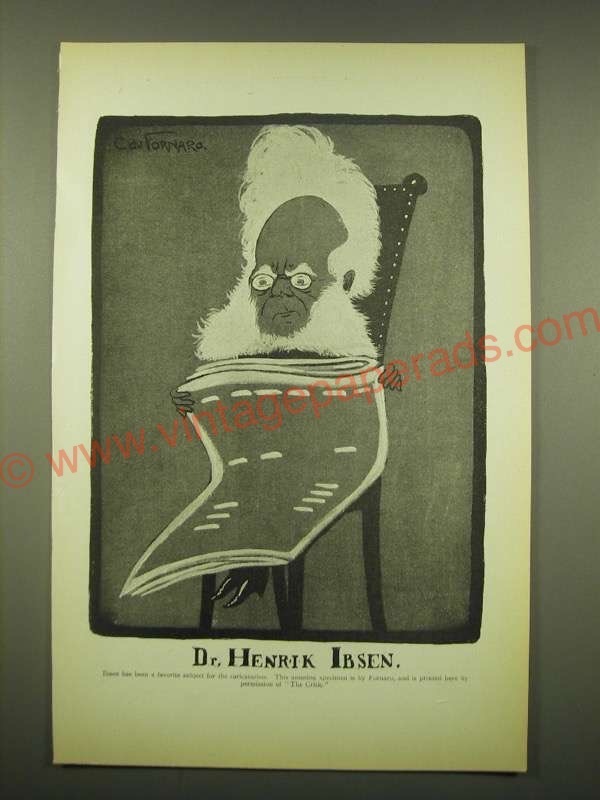 This is a 1902 Magazine Print of a Caricuture of Dr. Henrik Ibsen! The size of the print is approximately 6x9.5inches. The caption for this print is 'Dr. Henrik Ibsen. Ibsen has been a favorite subject for the caricaturists. This amusing specimen is by Fornaro, and is printed here by permision of The Critic' The print is in great condition. This vintage print would look great framed and displayed! Add it to your collection today!